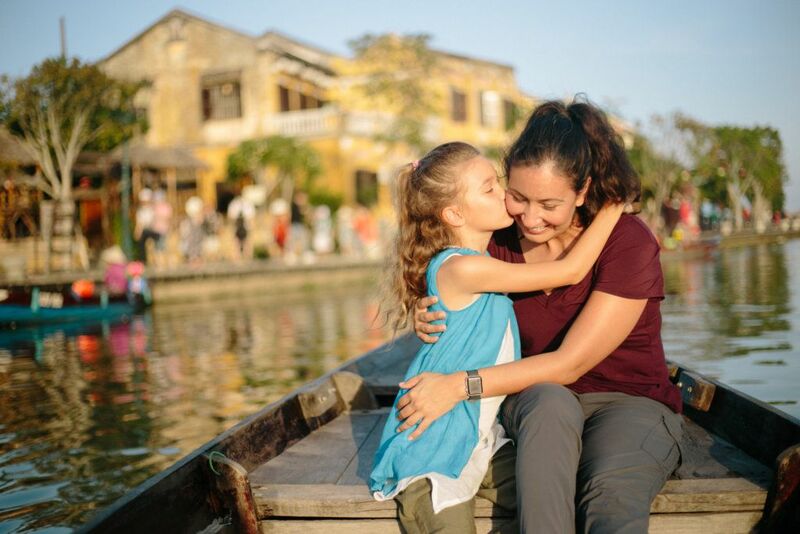 Avid travellers, Maria and her 7-year-old daughter were visiting the city of Hoi An in Vietnam. They wanted to capture all of the colour area, but they also didn’t want to have to rely on strangers to get both of them in the photos. And Maria knew the perfect way to do this. Best known for its incredibly preserved Ancient Town, Hoi An is on Vietnam’s central coast. 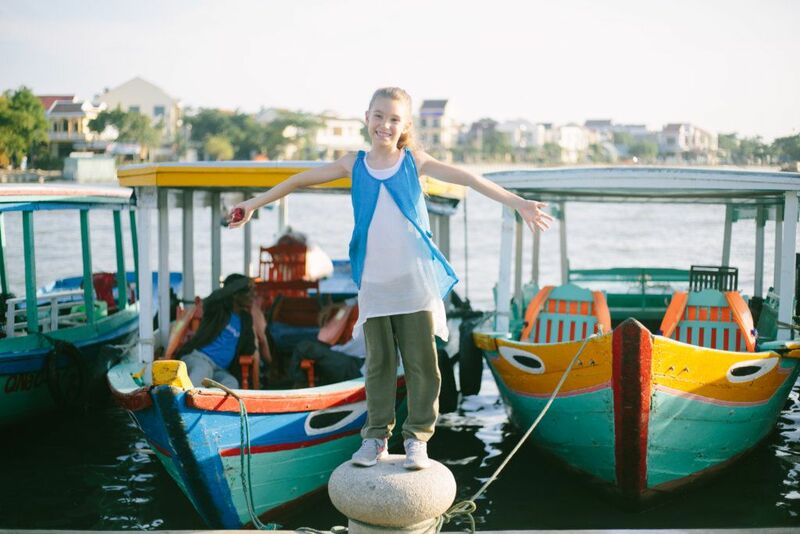 It includes a wide variety of architectural influences, from wooden Chinese shophouses to colonial French buildings, as well as Vietnamese tube houses and a famous Japanese covered bridge. Although it was once a major port, the city has remained quiet, and so has little traffic, compared to other cities of the same size. This makes it perfect for exploring on foot! The Ancient Town, with its winding lanes and Chinese-styled buildings, is particularly nice as the sun is setting. Besides the usual touristy spots, there are also many boutique hotels, restaurants and an astonishing number of tailor shots! It was in this colourful landscape that Maria wanted to have some photos taken of her trip with her daughter, so she hired Anh to help her out. Travel is a wonderful way to show our children that the world is larger than our own backyards. Meeting people and seeing places that are different from our own can open their eyes to the wonders that the world and its many cultures. 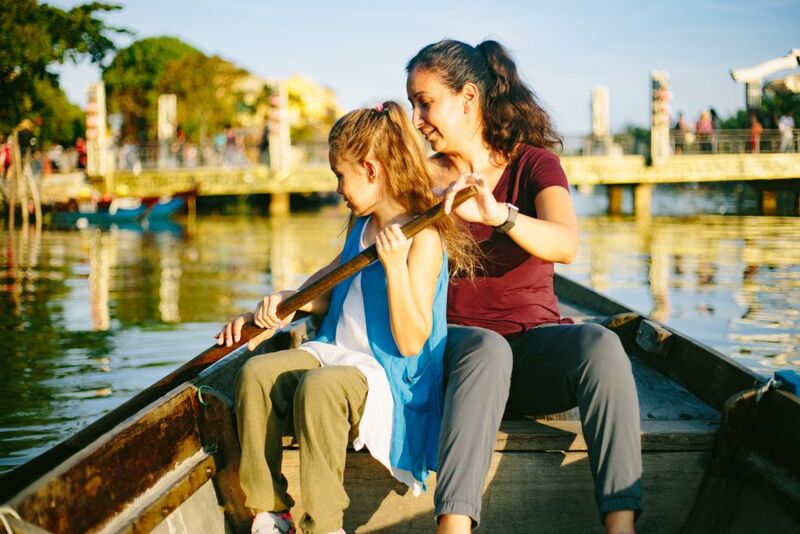 As regular travellers, Maria and her daughter knew this already; they also knew that wonderful photographs can really keep the memories of a trip very much alive. 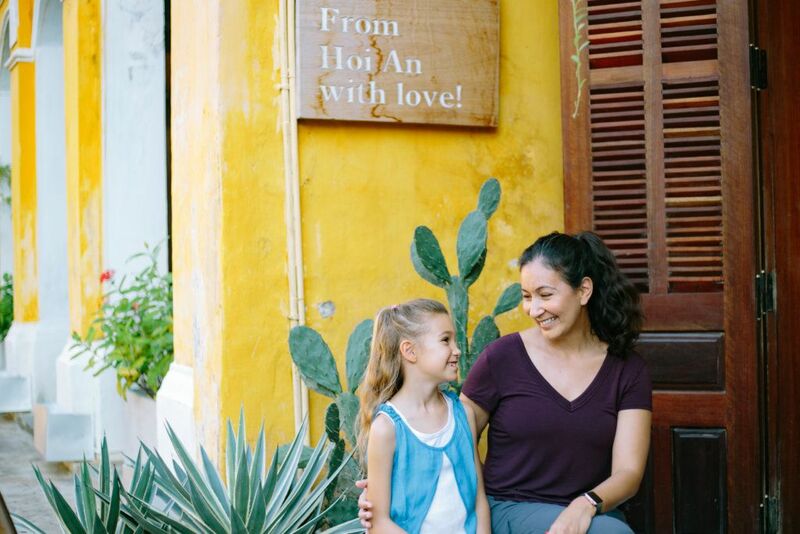 Anh took lots of incredible photos of Maria and her lovely daughter, simply enjoying their time in Hoi An. They can be seen walking through the historic streets (a shot that is impossible with a selfie stick! ), enjoying a boat ride, tasting some of the local food, and enjoying their day together. Anh also took several shots of Maria’s daughter by herself that are particularly special. But the very best images are of the two of them in front of a wall of colourful (and large!) lanterns. They look so happy to be in Hoi An experiencing the culture together. 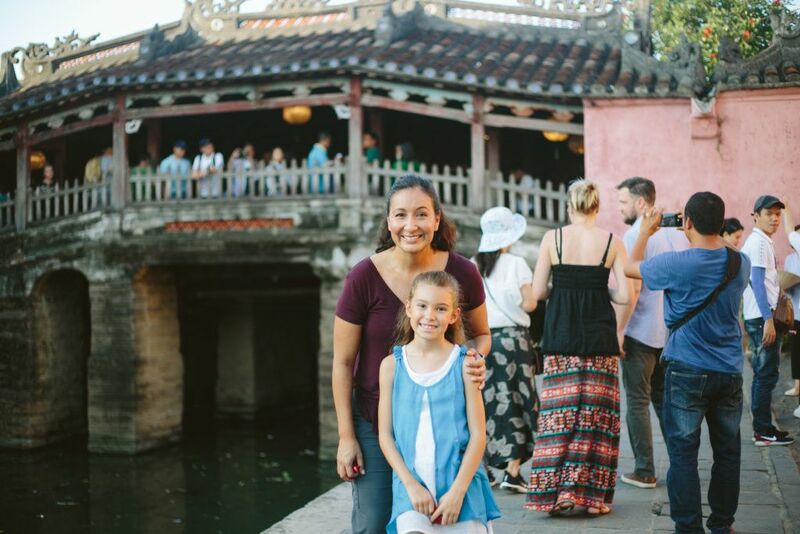 Anh also captured lots of very sweet moments between mother and daughter. They are obviously very close and really enjoy travelling and having adventures together. Every one of Anh’s photographs is beautifully composed, using the changing lighting to the absolute advantage. And even though some of the photographs are slightly staged, none of them are overly posed. Rather, they are natural and fun. Maria and her daughter chatter and laugh happily as they have their photos taken. It’s like they completely forgot Anh was even there. When you hire a professional photographer to take family photos like these you know you will get well-focused and well thought out images, instead of blurry selfies, or with someone missing from the group. A professional photographer can make a huge difference to any event, including casual family vacations. Professional vacation photographers like Anh, since they are often local experts, know where to find the perfect sites for photos, giving clients the best possible experience, and wonderful memories to last a lifetime.